We had a beautiful walk yesterday on a short section of the circular walk around the Sibelinni, the Grande Anello die Sibillini (GAS). It was very well marked and a lovely walk, making me think that a more thorough exploration of the GAS would be well worthwhile. On part of the walk, we were at about 1,100 metres looking across to Monte Bove towering above the ski resort of Ussita. The highest point of Monte Bove, Monte Bove Sud, is 2,169 metres. 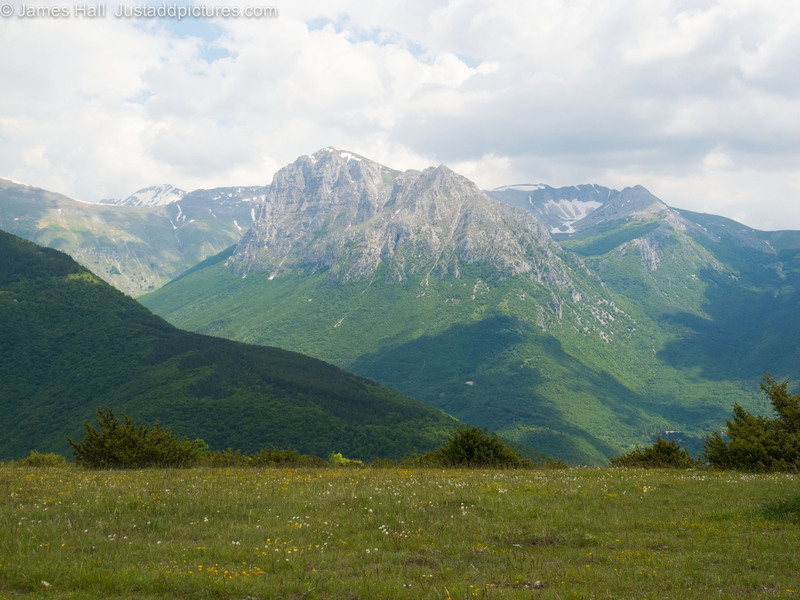 Posted in Italy, Landscape and tagged GAS, landscape photography, Monte Bove, Monti Sibillini, photography, photos, walking. Bookmark the permalink.